The marathon allowed a number of other events to take place in conjunction with the race, such as the Sports and Fitness Expo. It also included a 5K, 10K and half marathon in addition to the full marathon. 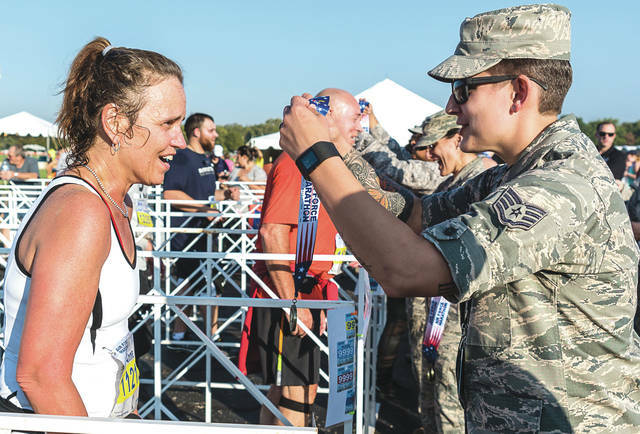 Wright-Patterson Air Force Base hosted the 21st Annual Air Force Marathon Sept. 16, welcoming 13,500 runners from all 50 states and 16 international countries. 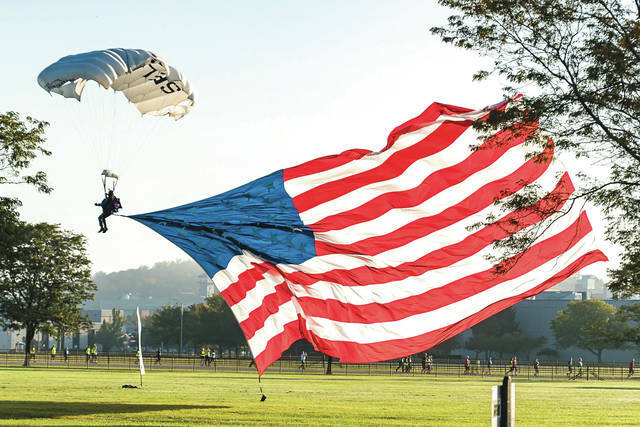 The event also hosted 2,400 volunteers to help the marathon run smoothly. 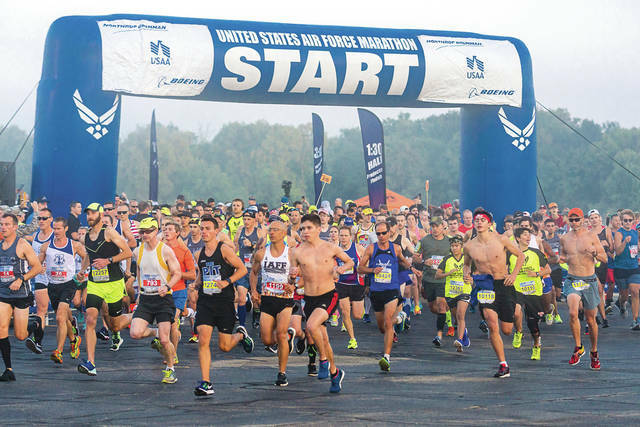 https://www.fairborndailyherald.com/wp-content/uploads/sites/50/2017/09/web1_5-4.jpgThe marathon allowed a number of other events to take place in conjunction with the race, such as the Sports and Fitness Expo. It also included a 5K, 10K and half marathon in addition to the full marathon. 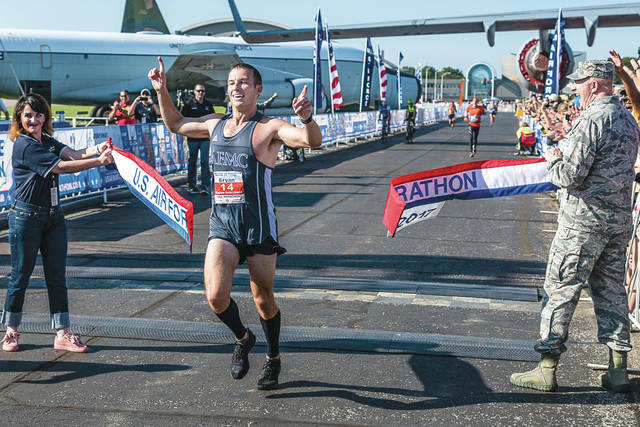 https://www.fairborndailyherald.com/wp-content/uploads/sites/50/2017/09/web1_12.jpgThe marathon allowed a number of other events to take place in conjunction with the race, such as the Sports and Fitness Expo. It also included a 5K, 10K and half marathon in addition to the full marathon.